It's normal that window films look different under different lights. GLUE-FREE STICKER:By using technology of static,the window film can stick to the glass without any glue,so it is easy to apply,and reusable. EASY REMOVABLE WINDOW FILM:It is very easy to remove the window film without any damage to itself or any stain on the glass either. ENERGY SAVINGANTI-UV WINDOW FOIL: 96% of UV Rays Resistance.Also help to keep warm in winter and block out heat in summer. 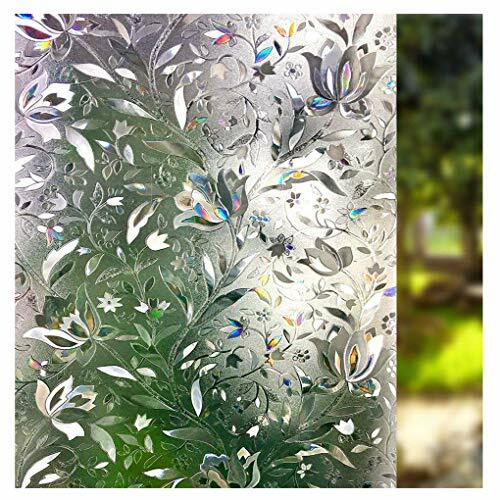 DECORATIVE WINDOW CLINGS: Decorate the bald glass with different patterns on your options,and you may change it easily anytime. If you have any questions about this product by LEMON CLOUD, contact us by completing and submitting the form below. If you are looking for a specif part number, please include it with your message.